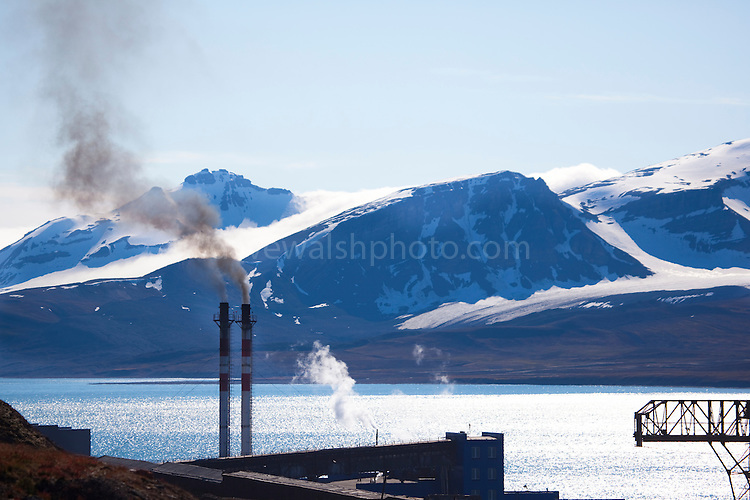 Coal fired power station pouring out smoke in Barentsburg. Barentsburg, a Russian coal mining town in the Arctic Norwegian Archipelego of Svalbard. Once home to about 2000 miners and their families, less than 500 people now live here. The Arctic is one of the regions most obviously affected by cimate change, caused by the burning of fossil fuels like coal.